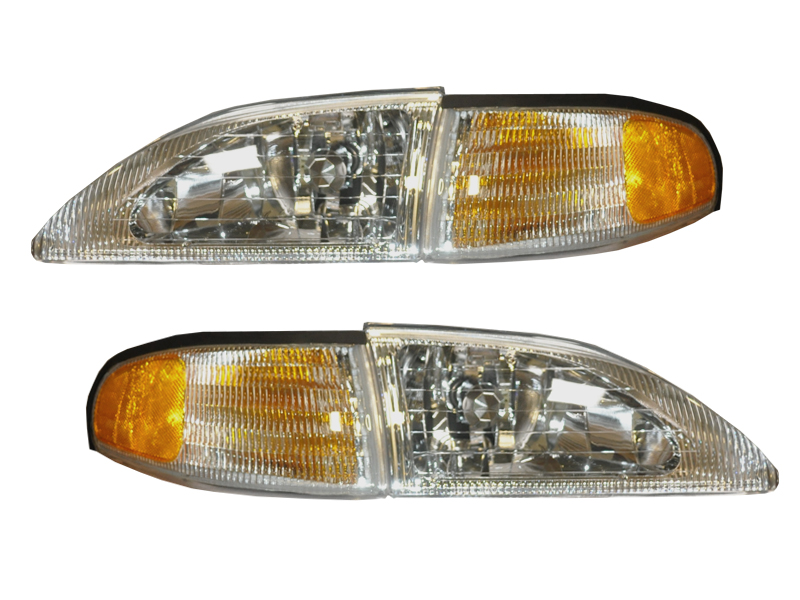 * Crystal Clear Lenses Replace your worn out and faded headlights and give your 1994-1998 Ford Mustang an updated look with our Crystal Clear Headlights. Quality Construction: Highest quality kit available in the market today. No one gives you the bold clean styling of our Aftermarket Dress Ups, Suspension and Performance Parts for your American Muscle Car like UPR Products! Installs in 45 minutes or less. Fits these Vehicles: 1994 1995 1996 1997 1998 GT GTS Cobra Mustang Roush & Saleen Vehicles.